Home / #ChinaPlanet / #Politicians / #Politics / #TrueNews / China / Communists / #ChinaPlanet : The fight against corruption in the Chinese Communist Party is not over. 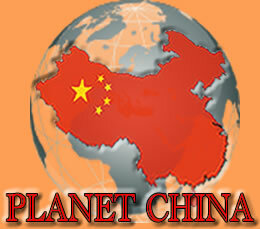 #ChinaPlanet : The fight against corruption in the Chinese Communist Party is not over. China's ruling Communist Party cannot rest on its laurels in the fight against corruption, President Xi Jinping said ahead of a key party congress later this year where he will cement his grip on power. Since assuming power in late 2012, Xi has pursued a relentless campaign against corruption, warning that the problem could threaten the party's ability to retain power, though some analysts say he is also taking down political rivals. The progress made in governing the party since the last party congress held nearly five years ago had been praised by the people, the official Xinhua news agency late on Thursday cited Xi as saying. "But we absolutely cannot be self-satisfied and blindly optimistic. Strictly governing the party is still a heavy burden," Xi told a meeting of provincial and ministerial government officials. "We will forever be on the path of comprehensive, strict governance of the party. One political party, one political authority, it's prospects and fate rest on the support of the people," Xi said. The comments come days after China's anti-corruption watchdog said the former party boss in the southwestern city of Chongqing, Sun Zhengcai, had been placed under investigation for "suspected serious violations of discipline", a term that can encompass everything from taking bribes to not toeing the party line. Sun, the latest senior official implicated in the anti-corruption campaign, was once considered a contender for top leadership. He had been party chief in Chongqing, one of China's most important cities, until an abrupt announcement this month that he had been replaced by Chen Miner, a rising political star close to Xi. Chen is seen as a potential new member of the party's elite Standing Committee when it is unveiled after a reshuffle at the upcoming congress. Xi's anti-corruption crackdown has punished more than a million party members, jailed top military figures and retired security tsar Zhou Yongkang, the most senior official toppled for corruption since 1949. Separately, the official People's Daily warned in a commentary on Friday about corruption in the military, a central theme of Xi's ambitious military modernization program. "In this era, there is corrosion from the worship of money and hedonism," it wrote, in a piece ahead of next week's 90th anniversary of the founding of the People's Liberation Army. "This has dispirited some people's thinking, and depressed their will, drying up their spirits," the paper added. A strong military needs to have a firm base in the rule of law, it said.